The Door Dhaba offers unique antique wooden Indian doors that range from 80 to 100 years old. They were made for well-to-do households in Gujarat, Rajasthan and South India. The big doors with large frames were the main external doors for traditional mansions, or havelis. The interior rooms were separated by the smaller doors without frames. All of these doors were rescued from old havelis that are being replaced with newer buildings. These doors are heavy and rustic in nature. The outer faces are elaborately carved and ornately detailed with brass and iron accents, giving each piece a defined individual character. All wooden and metal components of these doors are handmade. The doors are made from large solid pieces of Teak. 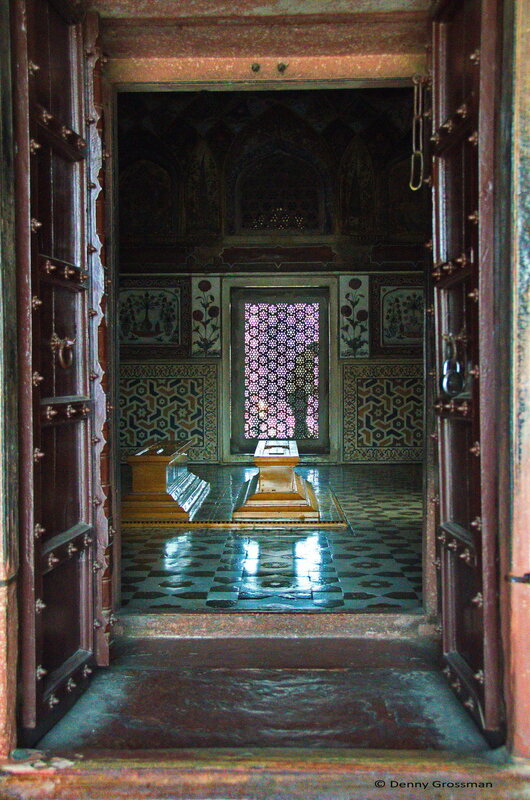 The carvings demonstrate traditional Mughal patterns. Some doors are inlaid with bone and horn, while the doors from South India are adorned with a significant amount of metal. These doors combine strength for security along with artistry for beauty and devotion. All pieces are provided in their original condition (unless otherwise noted), including normal wear and original paint. All doors have been waxed for protection. The furniture made from these doors includes coffee tables, armoires, bookcases and cabinets. The newer components of this furniture are crafted from Indian Rosewood.